Lamborghini India has launched the new Huracan Evo priced at Rs. 3.73 crore (ex-showroom). The new Lamborghini Huracan Evo is a facelift to the supercar and now comes with more power, refreshed styling and aerodynamic upgrades. 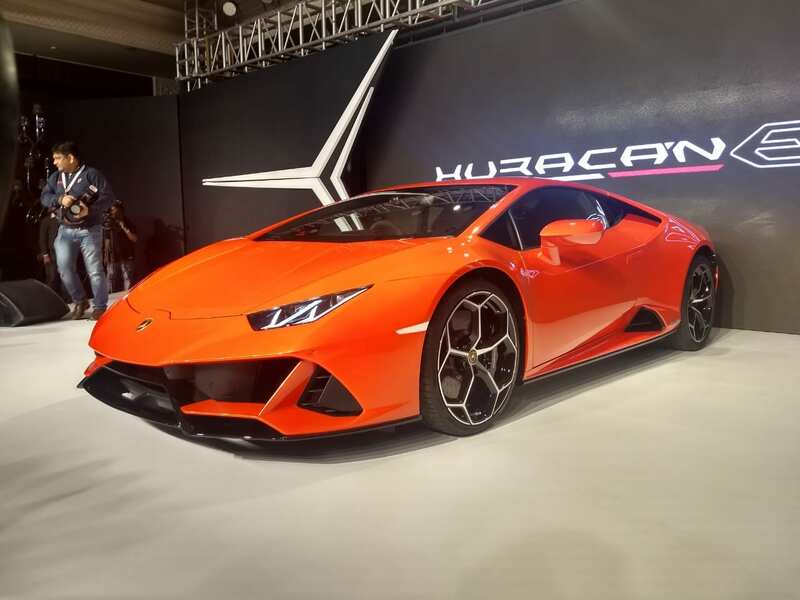 The Huracan Evo comes to India less than a month after the Aventador SVJ made its way to the country at a home in Bengaluru. 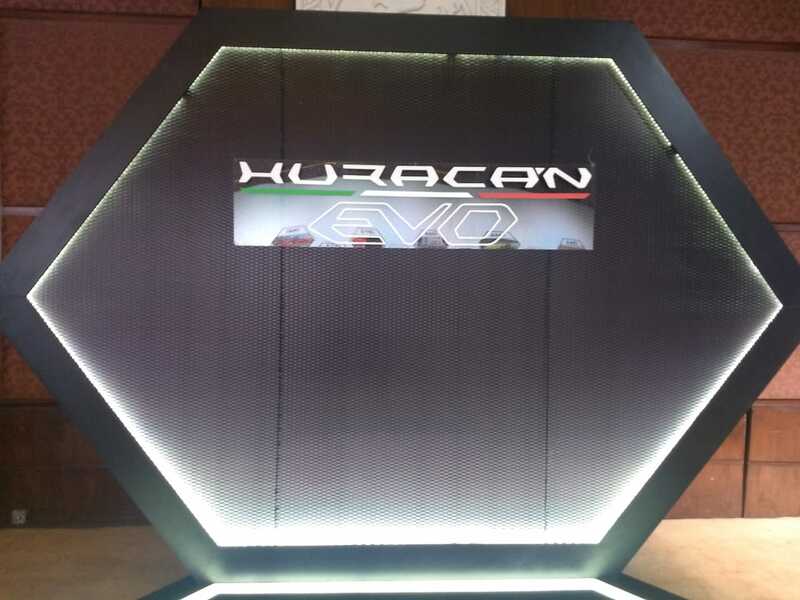 The arrival of the Huracan Evo only showcases the strong demand for such performance cars in India. 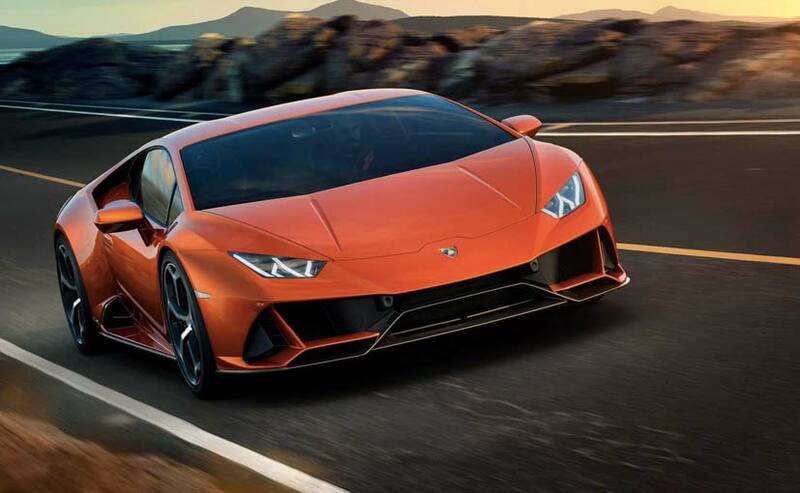 With respect to changes, the Lamborghini Huracan Evo gets a new front and rear bumper, new diffuser and twin exhaust pipes that are now place higher than the ones on the current model. The razor sharp styling that we love on the Huracan has been retained and the coupe looks distinctive and fresh from all angles. Upgrades also include a new ducktail spoiler balanckt downforce and drag on the two-door, while the underbody has been revised to make it more slippery and aerodynamic friendly. Inside, the Lamborghini Huracan Evo retains the familiar design but is now shod with an 8.4-inch capacitive touchscreen infotainment system that can controls everything from Apple CarPlay to climate control. It also comes with voice command system and a dual-camera telemetry system with a high-capacity hard disk. The Lamborghini Huracan Evo that uses the same naturally aspirated 5.2-litre V10 motor but is now tuned to produce 631 bhp and a peak torque of 600 Nm. That's 28 bhp more than the predecessor. All of that power helps propel the Huracan from 0-100 kmph in mere 2.9 seconds, 0.3 seconds faster than the older model. The top speed remains unchanged at 323.5 kmph. 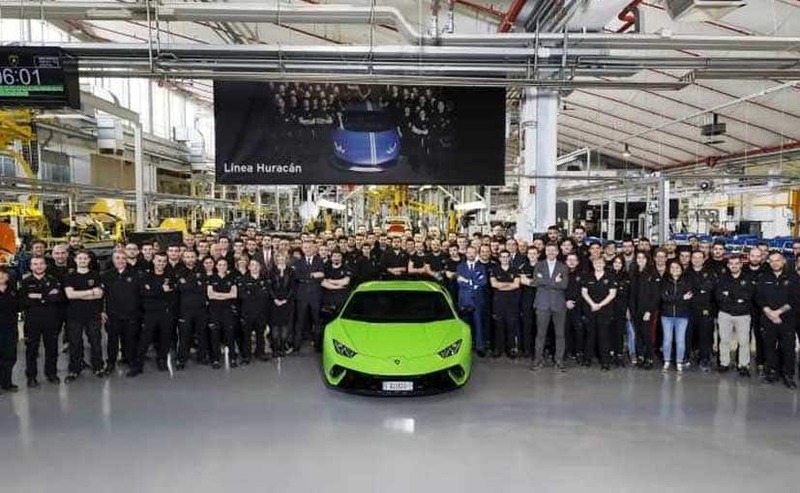 Tech upgrades on the Lamborghini Huracan Evo include the new Lamborghini Dinamica Veicolo Integrata (LDVI) chassis control system, which will control every aspect of the car's dynamics while there's a new generation of magnetorheological damping. The All-Wheel Drive system gets enhanced torque vectoring and Feb dynamic steering system has been upgraded as well for more response around the corners. 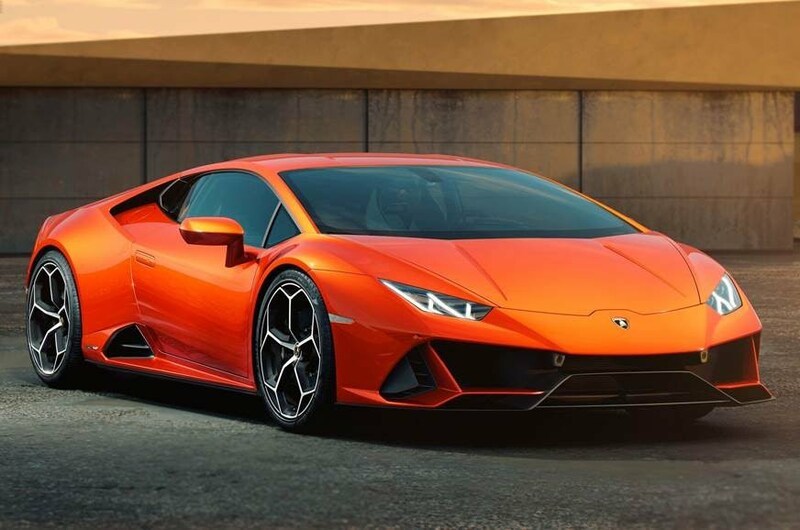 The Lamborghini Huracan first arrived in India in 2014 soon after its global launch and the facelifted comes five years later as the model reaches its midlife cycle. The supercar competes against the Mercedes-AMG GTR, Porsche 911, Ferrari 488 GTB and the likes. The Lamborghini Huracan Evo has officially arrived in the country and you can read all about it in our launch report HERE. 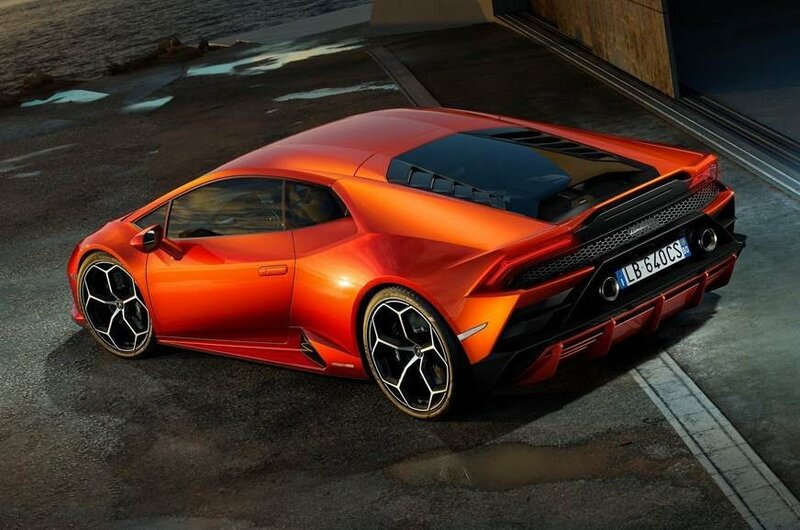 The Lamborghini Huracan Evo gets a new ducktail spoiler to balance downforce and drag on the two-door, while the underbody has been revised to make it more slippery and aerodynamic friendly. The Huracan Evo gets a new front and rear bumper, new diffuser and twin exhaust pipes that are now place higher than the ones on the current model. The razor sharp styling that we love on the Huracan has been retained and the coupe looks distinctive and fresh from all angles. The Lamborghini Huracan Evo looks stunning in that shade. More power, .ore electronics and improved styling. The Lamborghini Huracan Evo has been launched at a price of Rs. 3.73 crore (ex-showroom). The Lamborghini Huracan Evo finally makes an appearance on stage. The Lamborghini Huracan Evo also gets a new massive8.4-inch capacitive touchscreen infotainment system that can controls everything from Apple CarPlay to climate control. It also comes with voice command system and a dual-camera telemetry system with a high-capacity hard disk. There are 3 driving modes as always - Corsa, Sport and Strada. The same naturally aspirated 5.2-litre V10 motor is now tuned to produce 631 bhp and a peak torque of 600 Nm. That's 28 bhp more than the predecessor. All of that power helps propel the Huracan Evo from 0-100 kmph in just 2.9 seconds, 0.3 seconds faster than the older model. The top speed remains unchanged at 323.5 kmph. The glorious naturally aspirated 5.2-litre V10 continues to power the Lamborghini Huracan Evo. The Lamborghini Huracan Evo gets loaded on electronics including LDVI, Torque Vectoring, All-Wheel Steering, LMR 2.0, Advanced Traction Control and more. The Lamborghini Huracan Evo gets better aerodynamics over the previous version. Here's all that's new on the facelifted Huracan. Here'stthe Huracan family. Something for everyone in the supercar space. 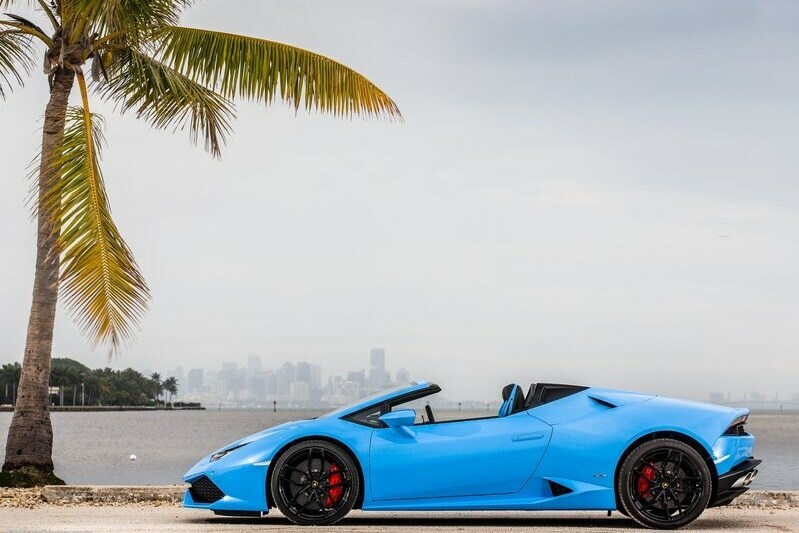 Lamborghini sold 1301 cars in 2018 in the Asia Pacific region. A big contributor has been the Urus SUV. Here's how the Lamborghini brand has grown in India in its eight years of presence. 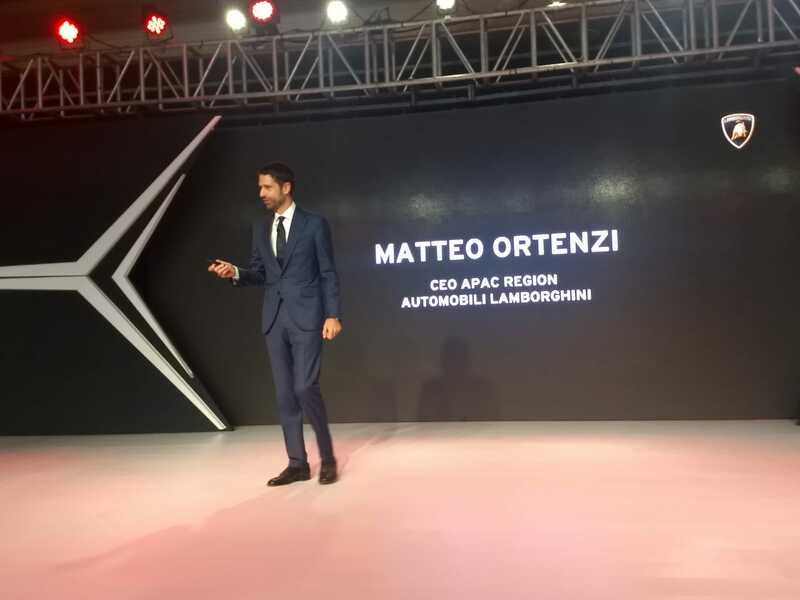 Matteo Ortenzi, CEO APAC Region - Lamborghini now on stage talking about the global success of the supercar brand. 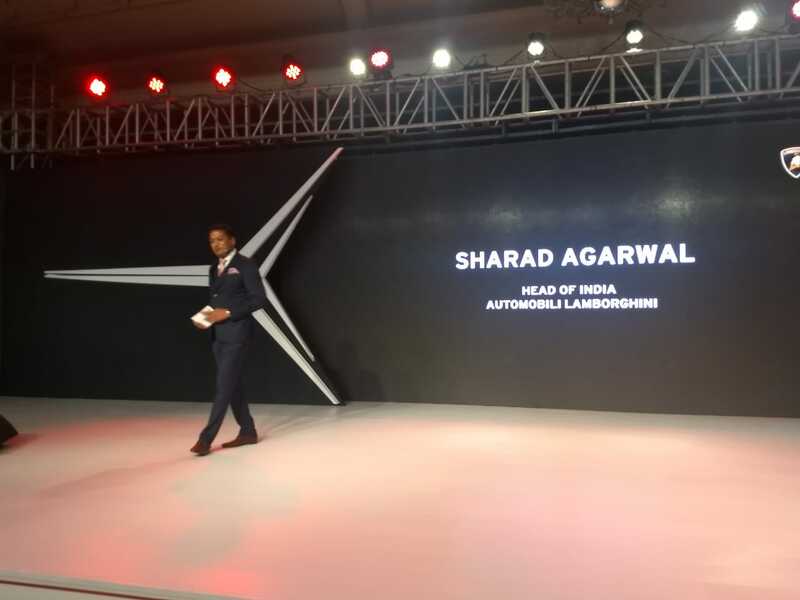 Lamborghini India - Head, Sharad Agarwal takes the stage. This the first time in the world that the Lamborghini Huracan Evo is being showcase after Bahrain. 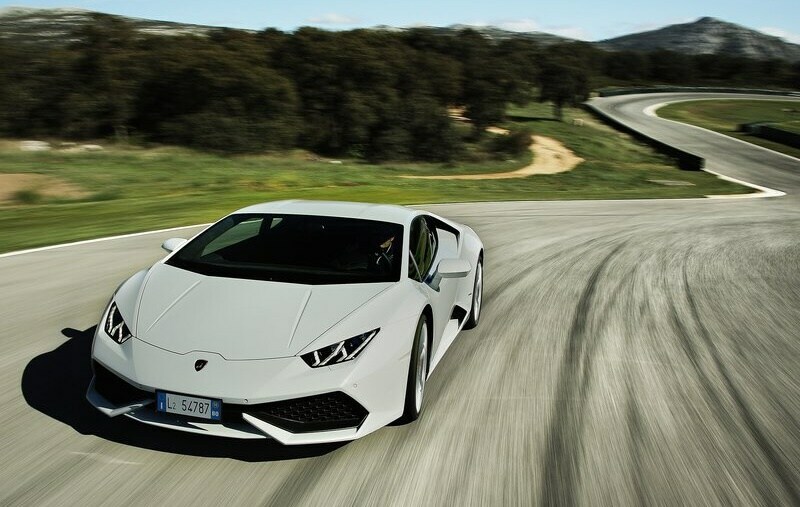 As of March 2018, Lamborghini produced over 10,000 units of the Huracan since its launch. Here's a throwback to the 10,000th Huracan rolling off the assembly line. 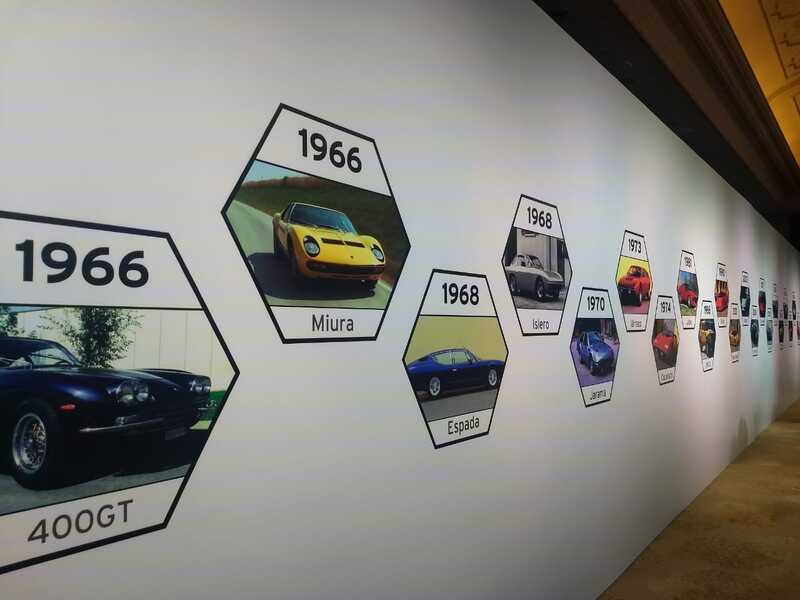 Here'sa glimpse of Lamborghini's history that started in 1966. The Italian automaker went on to create several desirable cars over the years right from the Miura to the Aventador. The Huracan is a successor to the Gallardo in Lamborghini's stable, the latter being an extremely popular model in India as well. The Lamborghini Huracan Evo launch event is about to begin. While we know a lot about the new offering, prices for India will be announced today. Over the years, Lamborghini had some very interesting Huracan versions on sale worldwide, some of which made their way to India as well. This is the 2017 Lamborghini Huracan LP-610-4 Spyder. A Rear Wheel Drive version of the drop-top was introduced as well and made its way to the country. Lamborghini Huracan made its global debut at the 2014 Geneva Auto Show and was launched global in the second quarter of the same year. The two-door coupe arrived in India in 2014 as well retailing at a price tag of around Rs. 3.43 crore (ex-showroom). 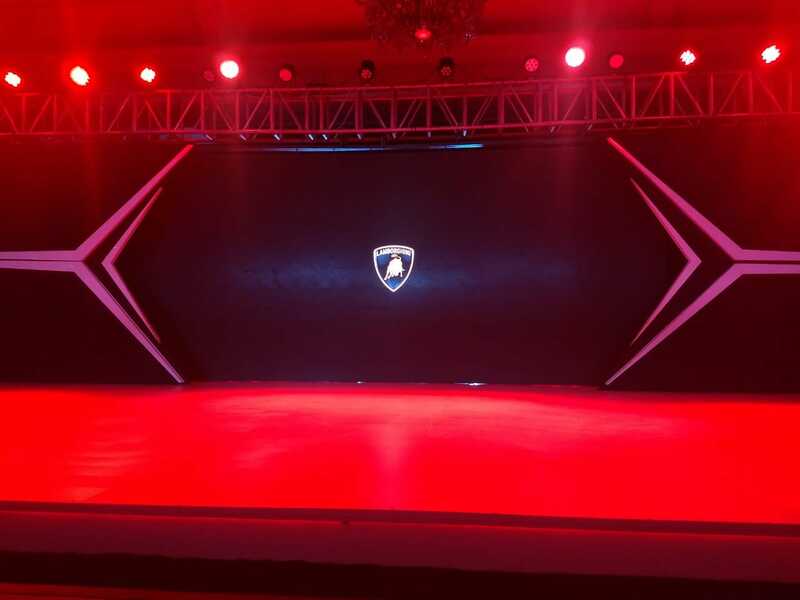 Hello and welcome to the Live Blog of the Lamborghini Huracan Evo India launch. The facelifted version of the supercar is all set to grace the Indian shores today with more power, revised styling and updated electronic tech wizardry. Stay tuned for all the details from the Launch Event.